IREM Risk Management Digital Publications will help you expand your skill set and provide resources for every step of your career development. No matter your level of experience and expertise. Every management company, regardless of size, needs an established crisis communication plan. You can’t predict when the next crisis will hit, or what it will be about. But you can be pretty certain that there is a crisis just around the corner. Whether it is Ebola, an active shooter, blizzard, measles outbreak, or an act of terrorism—something is coming. 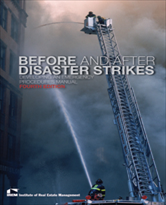 A key component to any emergency preparedness plan is a crisis communication plan. The communication plan identifies how, and what information you need to provide to tenants, the media, the public, and government officials. 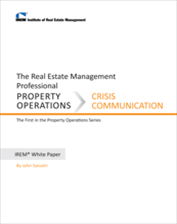 IREM’s new “Crisis Communication” White Paper covers what you need to consider in constructing a plan for use in any situation. Every crisis comes with its own specific sets of characteristics that ultimately defy prediction, but there are best practices and protocols that lay a groundwork for response when you are communicating to the people who need information. You can prepare for the unpredictable by adapting the guidelines provided in “Crisis Communication” to your style and your company’s crisis management philosophy. There is a critical connection between maintenance and risk management. 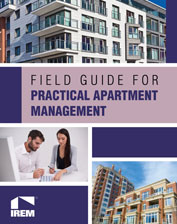 Maintaining a property in good condition is the first step towards managing risk associated with real estate management. In fact, a good maintenance program minimizes unexpected expenses and ensures the safety of tenants and staff, while attracting and retaining tenants. 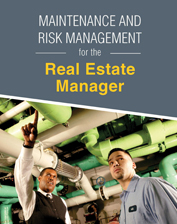 Maintenance and Risk Management for the Real Estate Manager can help you develop a first-rate, proactive, and sustainable property maintenance and risk management program by learning the specifics of planning, implementing, and monitoring property maintenance operations. It is designed to be an ongoing reference tool, and provides many forms and checklists for on-the-job application.